Here are just some of the Amazon reviews for The First Vet. To buy the book or leave a review on Amazon – here is the link. Vanessa Webster – I came across this book by chance after I sent out a request for book links a few days before Christmas! For a change, I decided to buy some books instead of getting free books! I loved the sound of this one and I was not disappointed – what a fantastic story! Basically, this book is written from the point of view of Bracy, a man who has given up a career as a surgeon to become one of the first vets ever. Even though set in the late 18th Century, the story is vivid and I immediately liked Bracy a lot. He stands by his principles, is kind, hardworking, and will not tolerate corruption. Whilst challenging the new head of the veterinary college, a surgeon more interested in lacing his own pocket, he meets his “crippled” sister, who becomes another key figure in this well-crafted tale. 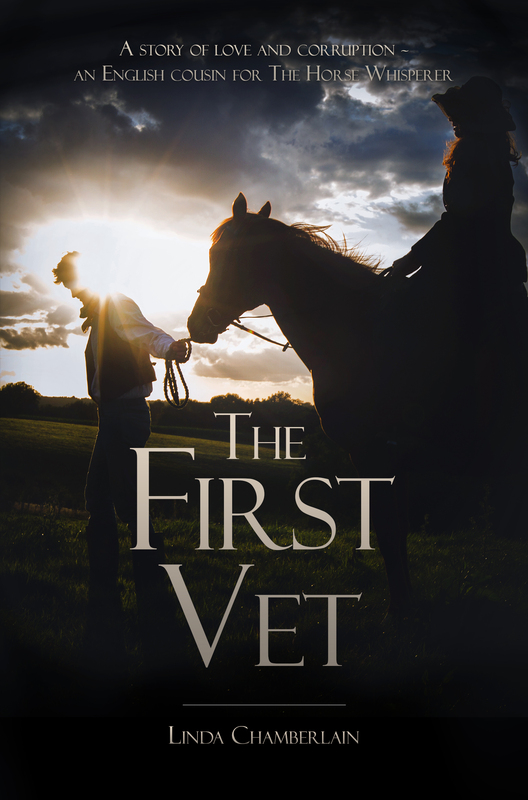 Without giving away the plot, Bracy then goes on to establish himself as a vet in London and prove that he can help people keep their horses, and livelihood, alive. I devoured this book and learnt a lot in the process. I would highly recommend for readers who love a romantic story with a historical element and horses! I also think it does a lot to raise awareness of the perception of disability that still exists today. 5 stars. SavvySue said – I have also read the book and I agree with Vanessa’s comments, it really was a great read and although the thread of love story was the glue, there was suspense and intrigue as well as history and education, as well as prejudice! I loved it! Anna Lydford – An enthralling read, great romance set in a vividly described London of the 18 century. Also the story of an exceptional man who pioneered veterinary practice. 5 stars. Naomi Kemeny – I was transported to an era and subject that I knew nothing about. Excellent descriptive writing that kept me hooked to the last page! 5 stars. ieupad1 – Really enjoyed this book – A great story with a thought provoking message, one of those books that is difficult to put down. 5 stars. Paul Lowsley – One of those books that you can’t put down, cracking read and well researched. 5 stars. Amber Gregory – A well researched and accomplished début, with a full cast of complex and believable characters. The landscape of 18th century London is brought into full focus by this skilful writer. Bracy’s work is overlooked by most, much like the fate of the woman he loves, who is also shunned by his contemporary society. But Christina Coleman is not happy to be left to obscurity and with Bracy’s help she breaks free from the restrictions that have been enforced on her. The First Vet tells the long overdue story of a man who stood up for what he believed in and fought for what he loved. This compulsive read is witty, brave and romantic. 5 stars. L. Gorrie – fantastic book, one of those that you got into the characters straight away, historically very informative left me very much wanting another book from this author, cannot wait. 5 stars. Susie Koren – Really enjoyed this book, wonderful descriptive writing weaving fact with fiction about the pioneering horse veterinary practices of 18th century London. A real page turner. 5 stars. 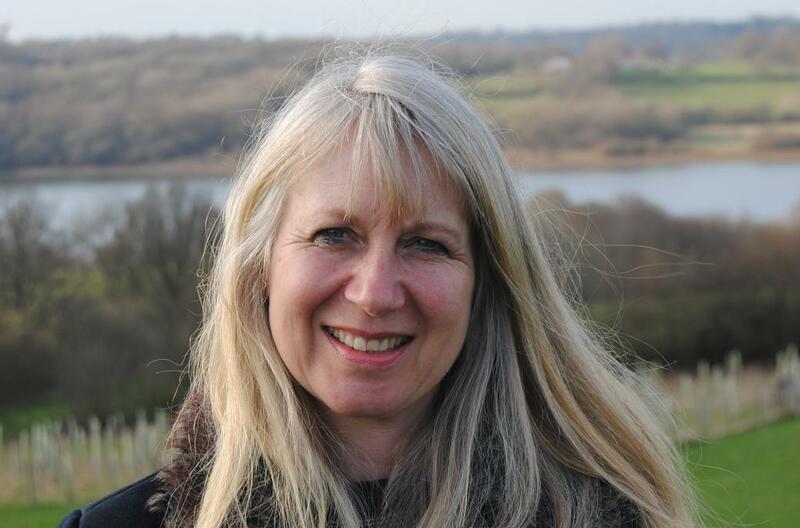 Julie Vince – Wonderful book that raised questions I would never have dreamed needed asking. I loved that the hero, Bracy, was so gentle, yet his beliefs are unshakeable and he resists corruption. A love story with unusual main characters – and all the better for that – and a lovely story of horses and their hard lives. Would recommend this book to anyone who loves romance, horses, vets or history. In fact, I would recommend it to anyone who adores a good read. It stayed in my mind long after finishing, splendid debut novel! Look forward to more from Linda Chamberlain. 5 stars. J. Howe – Highly recommend! I loved the entwining of historical facts, romance, horse knowledge and a fabulous acknowledgement of Bracy Clark’s life work. Sad that all those years ago horse shoes were seen negatively by some, but it has taken this long for barefoot horses to start to become acceptable. Thank you Linda for your part in bringing this awareness into the mainstream. And thank you for a wonderful story, completely absorbing me into another world, the way only great stories can. What a fabulous book. 5 stars. J. Kaidas – Loved this book. My own horses are barefoot so I have a natural interest in the subject. I loved all the factual information and never knew it stems so far back to this era. The story wrapped around the facts is beautiful. It was easy to imagine an old London and the people and I loved the lady in his life and the spirit the author gave her. Looking forward to the next book if this one is anything to go by. 5 stars. A. Edwards – Not only is this a thrilling story, but I learnt so much about the history of equine veterinary medicine and the whole debate about putting metal shoes on horses feet. I hadn’t considered that an immovable metal plate will restrict the growth and movement of a horses foot. This is one of those books you will not be able to put down. I read it in 3 days! 5 stars. C. Dawe – A fascinating read, well written and researched, based on true characters. Historical and informative, exploring the freedoms and restrictions of the era, with a splash of romance to boot. Opened up the world of the horse for me in a way I had not thought about before. A great first novel, thank you. 5 stars. F.A.B. – Bought this for my 15 year old son who has wanted to be a vet since he could talk – he found it really informative and liked the literary style. I also enjoyed it and found myself absorbed even though it is not a subject that would have spontaneously attracted me. 5 stars. H. Page – This is a great read and a real page turner. It’s beautifully written and obviously very well researched, with plenty of period detail. You don’t have to be a horsey person to enjoy this either, just an interest in history and a love of a good story. 5 stars. J. Woods – I loved this book. So well written I fell into the pages and relaxed into the story. Nice mix of history and love story. Linda Chamberlain has a nice writing style and I look forward to reading more of her work. 5 stars. Including RETURNING THEM TO A natural and longer life without nailing METAL SHOES TO THEIR FEET! 5 stars. Jane Corry – Loved the idea. It really gripped me. Definitely worth reading. 5 stars. C. Henderson – Interesting but more of a love story than I wanted. 3 Stars.